No that’s not the good old “death panels”! The “death panels” are those entities that decide what procedures and drugs the Medicare and Insurance Companies are committed to support and which they will not support. Today there are many items that fall into these categories and many ill persons are today being denied help based on those “decisions” and as the healthcare costs escalate and resources become more strained there will be lots more “rationing”. This problem is very visible in the VA system today. This article is about misdirecting doctors to take critical time from administering to ill people to engage primary older people to consider their “living will” options and note them on a checklist. In this article the doctor is getting Medicare reimbursement for discussing with end of life options with an 88 year old man (who it turns out already had a “living will”). “You want treatments as long as you are gong to have good quality of life”? After this “healthcare” séance the old man probably tried to contact Jack Kevorkian. These are things everyone should consider and then execute a “living will”! An auto or bike accident or fall or stroke can quickly change anyone’s status from active person to invalid at any age. The point is -- why are we paying doctors to do this instead of focusing on sick people? Lawyers and their PLs do this for a living --- keeps them from chasing ambulances. IF Obama wants old folks to focus on this -- send them a yearly check-sheet with their Social Security Tax Statement every January. Thanks to Obama and his associates, life as we knew it has already reached end-of-life. Killer: Where’s My Absentee Ballot That McAuliffe Promised? Roanoke Times, 5-26-2016, Pg 1, 8: Convicted murderer, out after only serving 11 years for shooting a man to death, pleaded guilty to four felony shootings with a gun (again) and only gets 10 years this time. Now the issue is, where’s this guys Absentee Ballet so that he can vote for Hillary? Clearly he was included in McAuliffe’s “mass pardon” fiasco from the time he was let out of prison (served only 11 years for murder with a gun) until he was convicted of shooting his next victim. We need to find that ballot; every Hillary vote is critical this year! It may be uncomfortable for McAuliffe to discuss his felons-voting fiat now that he is under FBI investigation himself. Perhaps he will be able to get his “voting rights” back after his criminal case is complete. RT, 5-25-2016, Pg 3: 5,000 Virginia felons have registered to vote per McAuliffe’s administrative process that is now under challenge in the courts. Gives Hillary a big leg-up for her Virginia delegates. Also Pg 3: Man charged with killing a Virginia State Trooper is using McAuliffe’s “felon rights law” to demand that felons be included in the jury pool for his case. Accused police killers requiring like felons on their jury. Accused child molesters requiring like felons on their jury. Accused rapists requiring like felons on their jury. The list goes on! What a joy! 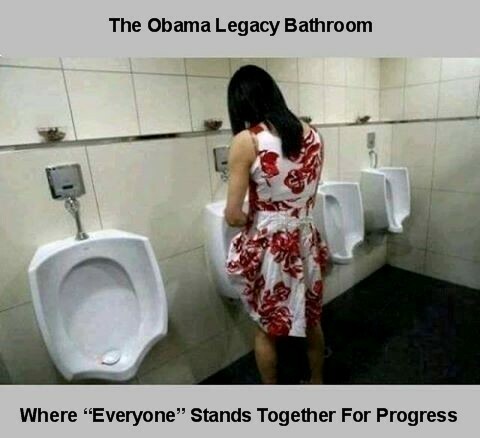 More Obama and McAuliffe Progress! When will the riots start? When will distraught Mom get her $6 Million? When will the violent pathological shooter be indicted and jailed? When will Texas disarm all these so called killer “home protectors”? Vote for Hillary – she’ll collect all the guns and jail anyone caught shooting one! 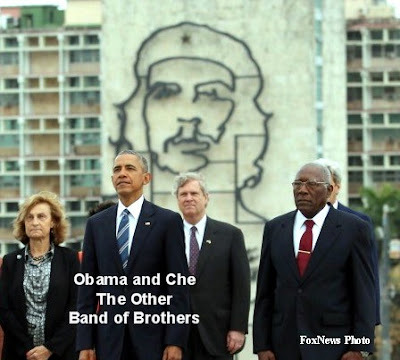 Obama has doubled-down on his legacy of legitimizing those whose human-rights abuses standout not just in the past but yet today. 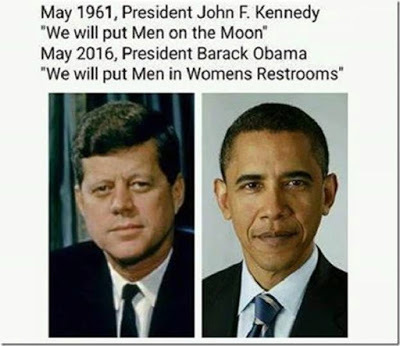 Obama’s desperate last minute attempt to put some lipstick on his legacy-pig is pathetic. 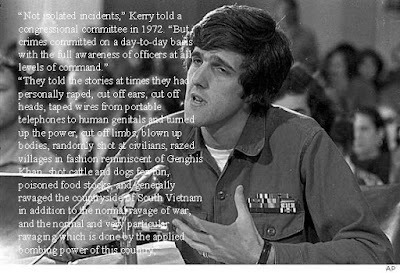 After his digusting and dishonorable pack of lies he told to Congress in 1972 about his fellow soldiers, it is no surprise that Kerry is viewed warmly by the Ho Chi Minh dynasty. 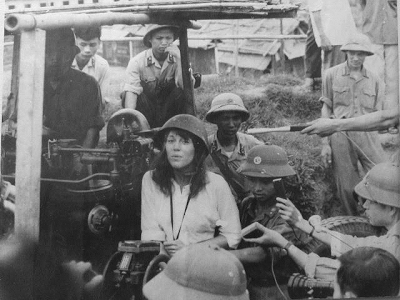 The only one missing in the Obama-Kerry-Ho Chi Minh LoveFest was Hanoi Jane. Taking her along as a good-will ambassador would have rounded out the TriFecta of disgrace. 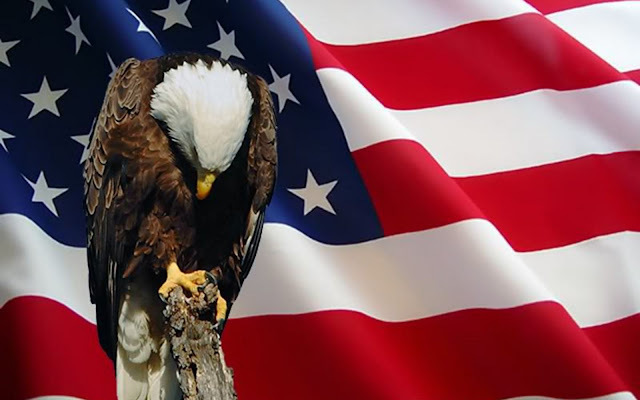 It is indeed sad that more than half of the American people do not even understand the meaning and emotions behind the above pictures and the message they portray. Clearly no one in the education or media venues have communicated these lessons of our recent history and they're certainly not going to now. Bernie has been hammering Hillary about the conduct of the Democrat (clearly not democratic) Conventions and the so called super-insider-delegates. 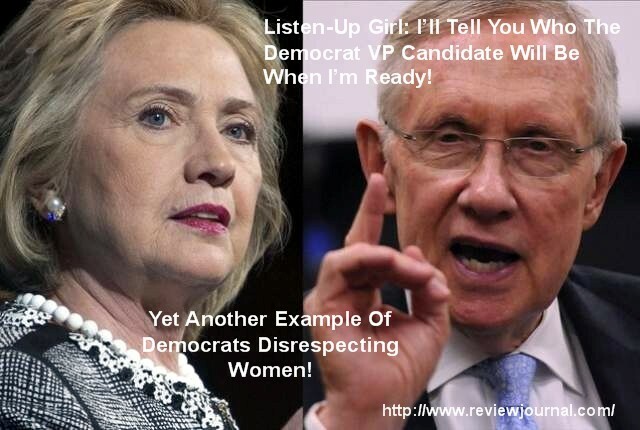 The new incredibly disrespectful attack on Hillary is from her old Senate buddy Harry Reid. Monday, May 23rd King Harry Reid pronounced on pubic television that he has “Veto” control of Hillary’s VP choice. Has anyone ever head of such a disrespectful attack on a presumptive presidential candidate by a leader of their own party? Would he have disrespected a male candidate like this? I think not! Negotiations as to who will be the VP candidate and who will be Cabinet candidates have always been negotiated behind closed doors. “Add Harry Reid to the list of troubles dogging Hillary Clinton as she stumbles toward the Democratic nomination for president. The powerful Senate minority leader delivered an unusual warning to Clinton on selecting a running mate, vowing to "do whatever I can" to stop her from choosing a Democratic senator from a state led by a Republican governor. Perhaps Harry is worried that Hillary will be indicted before November and he wants control over the number-two candidate who may become number one! Fall guy: a colloquial phrase that refers to a person to whom blame is deliberately and falsely attributed. This journal item is long but, the nefarious charges by Baltimore against six of their Police Officers, who were performing their duties in a very high crime area and hostile environment, deserves some review. 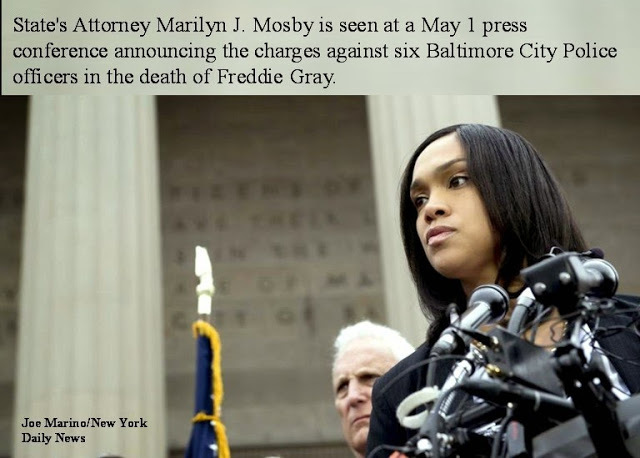 BALTIMORE (AP) — After two trials and no convictions, Baltimore's top prosecutor is facing criticism that she moved too quickly to file charges against six officers in the death of Freddie Gray without first ensuring there was enough evidence to bring them to bear. A judge in Baltimore Monday found a Police Officer not guilty on all charges against him in connection with the death of Freddie Gray in police custody, months after another officer's trial ended in a hung jury. Charges included: second-degree assault, misconduct in office and reckless endangerment. One of six Baltimore Police Officers charged in last month's death of Freddie Gray argues in a court filing that the knife found in the suspect's pocket after his arrest was illegal, contrary to what the city's top prosecutor has stated. 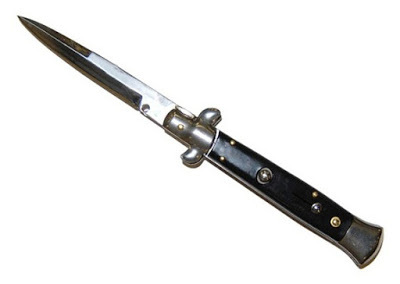 Attorneys want Maryland State's Attorney Marilyn Mosby to show them the knife that resulted in Officer Edward Nero being charged Friday with second-degree assault, misconduct in office and false imprisonment. It’s been a year since this incident and the Baltimore DA has still not shown the defense or the public the infamous knife. If it were a Swiss-Army knife, would we not have seen it by now? The Baltimore City malfeasance against their own Police Officers has been exacerbated by the City Council and Mayor awarding the family of Freddie Gray $6.4 MILLION tax-payer money. BALTIMORE – A city board Wednesday approved a $6.4 million settlement with the family of Freddie Gray, a 25-year-old black man who died a week after he was critically injured while in police custody. Clearly this reparations money was given illegally and the Mayor and the Council members should be sued by the taxpayers and forced to make personal restitution. Since the Freddie Gray incident occurred, the Baltimore Police have been restrained from exercising their duties and there has been a resultant surge in crime. The sad result is that it is primarily people of color who suffer the most. Cops Not Killing Anyone In Baltimore, But Someone Is, Wonder Who? “Federal officials are investigating whether Virginia Gov. Terry McAuliffe's 2013 campaign accepted illegal campaign contributions, sources familiar with the investigation confirmed Monday to Fox News. The Democratic governor and Clinton ally is the target of a Justice Department investigation into whether he violated campaign finance laws. The karma of the Democrats using the Obama-Holder DOJ to target Bob McDonnell has come back to haunt them. Clearly, the legal Jihad against McDonnell was directly related to the Virginia elections and the objective of getting Hillary’s right-hand-money-boy into the Va. Governors office just in time for the presidential campaign. Coincidences don’t just happen in politics! It is most likely that McAuliffe has been caught-up in the Hillary FBI investigation that includes her multi-million dollar slush-fund-Foundation primarily from foreign entities while she was Secretary of State. One can only imagine the “uprising” that would occur if a white national security advisor said the nations security issues were “The Black Guys” Fault! Just more of Obama’s fixing our racial harmony issues! 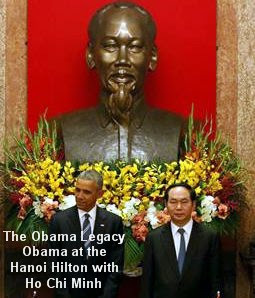 For “The Longest Serving War President in US history! We all remember Susan Rice. She’s the White House minion who described Deserter Bergdahl’s service as honorable and with distinction in response to questions about negotiating with terrorists and the prisoner swap. Susan Rice was the White House mouthpiece who told the American people on five Sunday AM shows and then the UN that the Benghazi attack was a spontaneous mob action caused by that darn YouTube Video. She forgot to explain the: automatic weapons, RPGs, mortars and the Radical Muslim Terrorists. 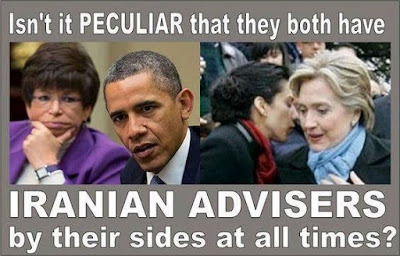 It’s interesting that Susan Rice didn’t mention any Obama Administration officials who are alleged to be Muslim and who are alleged to be linked to Muslim Brotherhood. Could they also be another security problem? Susan Rice also didn’t mention that a White House press mouthpiece acknowledged that members of the Muslim Brothers had attended meetings In The White House. Could that be another security problem? It’s also of interest that Susan Rice didn’t take credit for being involved in every-one of Obama’s inept actions and being his right-hand girl all the way through each big mess he has mismanaged. 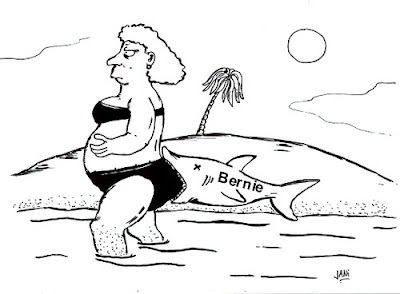 Bernie has been a thorn under Queen Hillary’s saddle for the past year. Bernie is bummed because the DNC rules favor Hillary. Bernie is now focusing his displeasure toward the DNC Chairperson Deborah Wasserman Schultz, who is also a Florida Congressperson and is in a primary fight. In a stinging rebuke to Democratic leaders hoping to unite the Party, Sen. Bernie Sanders said Saturday he wants Democratic National Committee chair Deborah Wasserman Schultz to lose to her primary opponent in Florida. A loss could effectively end her chairmanship of the DNC. Asked by CNN whether he prefers Deborah Wasserman Schultz or her primary opponent, Tim Canova, Sanders left no doubt about his desire to see the DNC chair defeated. "Well, clearly, I favor her opponent," Sanders told CNN. "His views are much closer to mine than as to Wasserman Shultz's." 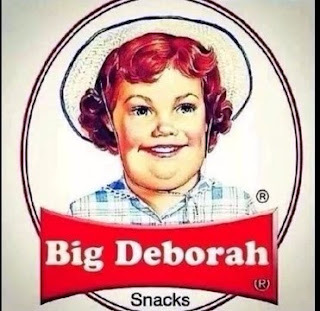 The DNC Leadership and all the Democrats running for office in November are very disturbed that Bernie is burning Hillary and taking a big bite out of “Big Deborah”. The implication of this editorial is that the RT is tolerant of people, ideas and actions that are contrary to their Progressive-Liberal biases. Really? The RT so loves AGW-Alarmist David Roper that they frequently publish his commentaries and LTE’s. His April 6, 2016 article was very enlightening. In line with their tolerance claims, why didn’t the RT Editors add a editor’s note rejecting the outrageous content of Roper’s views? Also, Roper labeling Skeptics as “Deniers” is a repugnant act in itself. Roper claims to be an educator! Really? Doesn’t Roper and the RT Editors understand that we “Skeptics” do not “deny” climate change – we totally agree that the climate is changing because the climate has always been changing due to natural forces, the only kind so far. What we are “skeptical” about is man-kinds contribution to any significant changes because CO2 has never caused global temperature or climate change before and the available data does not support the Gore CO2 Hypothesis and claims. Why should we be banished, shunned and denied our views? Exactly how tolerant are the AGW-Alarmists and their Pravda Media associates? In the Roanoke case, the man has become a “media celebrity” with lots of “follow-up” by the Roanoke Times, NAACP and “friends of the victim” including gatherings at local high school and demands for additional investigations. In contrast, in the DC case, the man is simply a criminal that met his self-induced demise ( a righteous killing and perhaps “suicide by cop”). Apparently, the Pravda Media takes gun threats against Obama seriously and without question --- threats against the public and police –- not so much! Anyone see a pattern here? Yes, me too! It's interesting that Obama holds the police who protect him and his family in such low esteem. No matter how Hillary spins it: Travon Martin was not a youthful innocent black youth who was wantonly murdered by a young Hispanic man. No matter how Hillary spins it: Neither Gun laws, Stand Your Ground Laws, the NRA nor Trump were the cause of Trayvon Martin’s early demise. The cause was Trayvon's behavior and attack upon another person who he misjudged to be a vulnerable target. 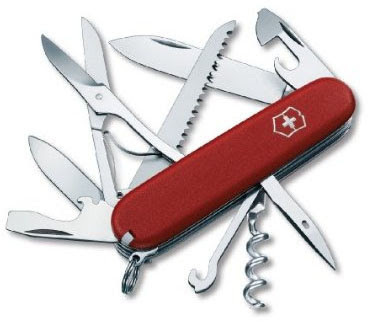 It’s doubtful that your anti-gun eulogy for Trayvon will get him past St. Peter! Hillary – instead of glorifying Trayvon, why don’t you attend the funerals for police officers who have given their all for their communities? As for Hillary's premise that Trump's gun stance is endangering children, how well has our "gun-free zones" worked out? 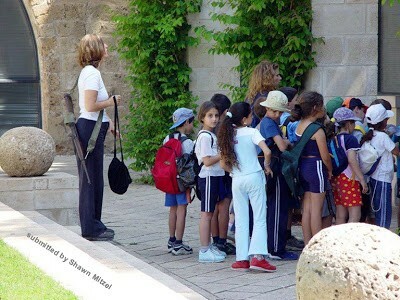 These Israeli children appear to be safer than our school children. Zimmerman: NOT GUILTY OF ALL CHARGES! Texas and 10 other states filed suit Wednesday against the Obama administration over its directive to U.S. public schools to let transgender students use the bathrooms and locker rooms that match their gender identity. Since when has it been legally and socially acceptable for men to "expose" themselves to women? Don't you wonder about those who think this behavior is OK and want to foist it upon everyone! And to think that those who oppose this behavior are being painted as bad people by Obama, his minions and the Pravda Media!